Nearly a third of the world’s 500 largest listed companies are headed by an MBA graduate, including Apple, Microsoft and JPMorgan Chase. Business school could be considered your best bet to climb to the ranks of chief executive, according to new data of corporate chiefs compiled for the FT500. Nearly a third of the world’s 500 largest listed companies are headed by an MBA graduate, 31% in 2015 compared with 29% this time last year, most from high ranking programs. Business schools in the top 100 of the 2015 FT MBA rankings have produced 104 chief executives of FT500 firms. The FT500 comprises the largest companies by market capitalization. Nine highly ranked schools account for 74 of these corporate leaders. 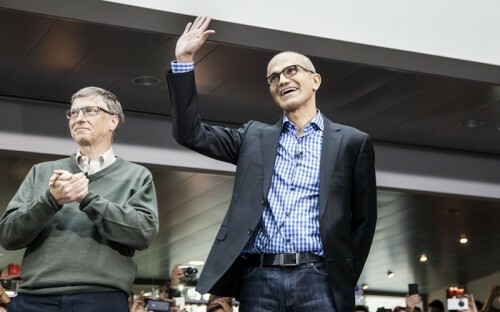 These company heads include Microsoft chief executive Satya Nadella, who graduated from Chicago's Booth School of Business, and oil major BP’s CEO Bob Dudley, an alumnus of Southern Methodist University’s Cox school, both schools based in the United States. Harvard Business School boasts the largest collection of leading alumni, with 28 FT500 chief executives among its MBA graduate ranks – three more than in 2014. INSEAD, which has campuses in Europe, Abu Dubai and Singapore, is the only non-US business school to have more than two MBA alumni in chief executive positions, with nine FT500 CEOs. INSEAD has more corporate chiefs than top American business schools including Stanford GSB and the Kellogg School of Business. The data will be a fillip for business schools, whose full-time MBA programs are struggling to stay relevant, and face an onslaught of specialist master’s programs and cheap online learning. The data also show a strong correlation between business schools’ brands and the number of chief executives leading large public companies. Harvard, for instance, was ranked number-one globally in the most recent MBA rankings released this week, while Wharton School, ranked third, has produced six top corporate chiefs. Wharton’s cadre of CEOs includes Alex Gorsky, who leads drugs giant Johnson & Johnson, and graduated from the business school’s MBA in 1996. But many other business schools have produced just one FT500 CEO. Cass Business School, for example, counts Coca-Cola chief executive Muhtar Kent among its alumni, and HEC Paris graduated Pascal Soriot, who is the CEO of AstraZeneca, the pharma group. Other notable chief executives leading companies in the FT500 include Jamie Dimon of JPMorgan Chase, who is an alumnus of Harvard, Apple CEO Tim Cook, who graduated from the Fuqua School of Business, and Michael Pearson, who is the chief executive of Valeant Pharmaceuticals and an alumnus of the Darden School of Business. The FT500 data echo a study released late in 2014 by the Harvard Business Review, which found that 29 of the best 100 performing chief executives have MBA degrees. HBR ranked CEOs on how much return their companies’ shareholders earned on their investment, and how much the chief executives increased their companies’ market values.